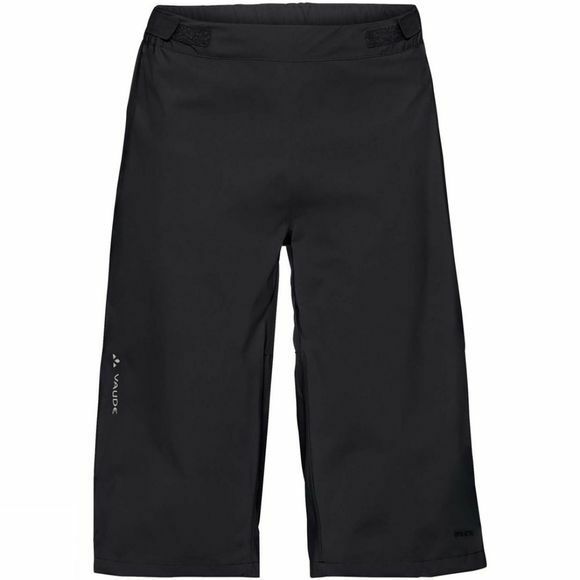 The Mens Moab Rain Shorts from Vaude are casual trail shorts that'll keep you safe from the storm! These lightweight 2.5-layer bike rain shorts will see you safely through that next cloudburst, guaranteeing free spirited cycling. Made from a material certified by the strict bluesign system environmental standard, they're comfortably lightweight and offer maximum functionality. 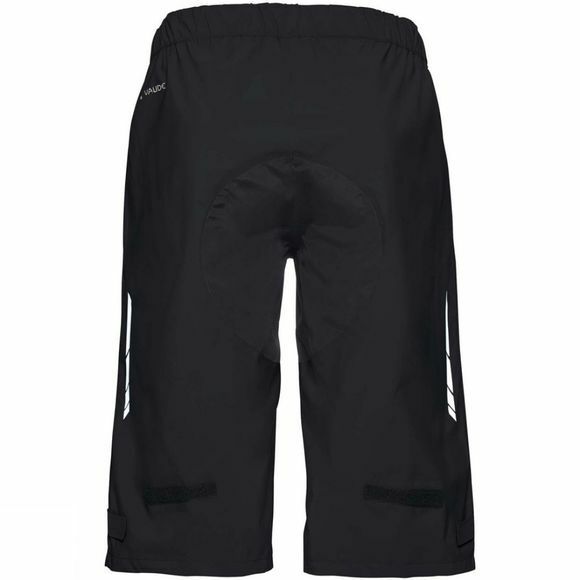 Features include reinforced seat made from robust 3-layer material, ventilation zips, width adjustment at the waist and leg cuffs, along with reflective elements for good visibility. A packsack is included.